We had the pleasure of meeting this adorable couple first, at the bride, Yara's brother's wedding in August. She was so patient, waiting to not interfere in her brother's big day before talking with us!! I still remember meeting her for the first time and how big her smile was and excited she was for her day! And then we met her fiancee, Shashank and I could see the way he looked at her and adored her and I understood her giddiness!
" In March on our 6th year together, Shashank took me all over Boston to our favorite spots where we basically grew up together (when you're 18 years old, you have a lot of growing to do!) Each stop was memorable, ranging from the restaurant where we had one of our first dates, to bookstores, Newbury street, and ending at the tree by the river docks where we spent so many nights during our years together. This particular tree, who we named Adelaide, was the very tree under which we had first confessed our love and made so many promises. Shashank had taken me to a charm store that day and we purchased thread and several jewelry charms that represented important aspects of our relationship and life together (a ruler charm for balance, a heart for love, a tree for sticking to our roots, etc). When we ended the night by Adelaide, we wrapped the thread around the tree, charms and all, and wrote vows to each other on parchment. We sent our vows across the river along with a brilliant bouquet of flowers (ah, the symbolism! ), and told each other yet again how much we loved each other. As we had wished Adelaide goodnight and began to head home, he stopped, got down on his knee, and asked me those precious words "Yara, will you marry me?" Of course I cried and threw my arms around him screaming "yes", full of bliss and complete elation. It was a perfect day. We couldn't wait to share this sneak peek from the Boston Public Library and around Copley Square and Newbury, but are even more excited to be a part of their wedding this coming May at St.Cecilia's Church in Boston and Willowdale Estate. Thank you both for starting your day so early so we could get these amazing shots and starting your day with us! We had a blast! And for you bride and groom to be's out there, he was some advice Yara and Shashank had on engagement sessions...." Just take a deep breath, have a good laugh, and enjoy the session. It is loads of fun and after a few minutes you will loosen up. Christian and Melissa make you feel awesome and we had a blast! It was wonderful! 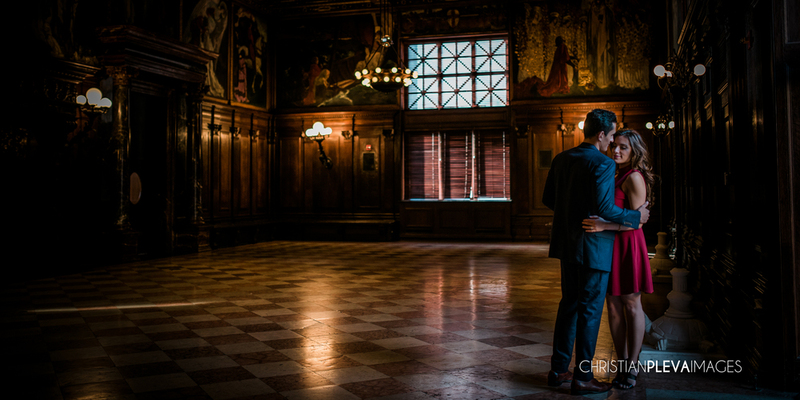 Christian and Melissa made us feel so comfortable and the Boston Public Library was a beautiful setting altogether. From lifts and poses to candid shots, the entire shoot felt natural. We can't wait to work with Christian and Melissa again in May 2016!"